The contemporary art world can be an isolating place. Stepping through glass museum doors and being confronted with sound, projection, and performance art can be disorienting. Even with an art background, new works can often seem devoid of context, and make you feel like you don’t belong. The art world too often feels like a place for critics, professors, and snobs arguing relational aesthetics; but two local arts organizations are working to change that. Taos has always been not only a home to conventional aesthetic values, but also a sanctuary for the experimental and the avant garde. Now, several of the area’s most-active arts organizations are working to bridge the gap between traditional art spaces, expanded media, and the community. The PASEO and The Harwood are working hard to update the dialogue and push Taos into a global conversation about the future of the arts, the public, and the spaces between. On Friday, June 24th, in partnership with New Media New Mexico, PASEO and Harwood will present a free screening of innovative and boundary-pushing art videos. This event marks the first time the CURRENTS: Santa Fe International New Media Festival has come to Taos. Since 2010, Parallel Studios in Santa Fe has presented CURRENTS — an annual, citywide event showcasing artists from NM and around the world working in interactive arts, video, and installation, with the goal of building bridges between contemporary art and the general public. A portion of that festival will come to Taos in this one-night video event. The Harwood and PASEO hope the interactive exhibit will expand the dialogue between community, tradition, and new media arts. The screening begins at 7:30pm in the Arthur Bell auditorium and features two programs, including work by Taos native Cory Metcalf. The video program will feature works centering on abstract narratives of beauty, power, and technology. It will showcase artists from NM and around the world, and build a conversation between traditional venues and contemporary media arts. The literal bridge between museum space and community will be created by the work of Taos-based artist Oliver Bell. Entitled “Light Throws,” this PASEO Pop-Up event will begin immediately following the screening. 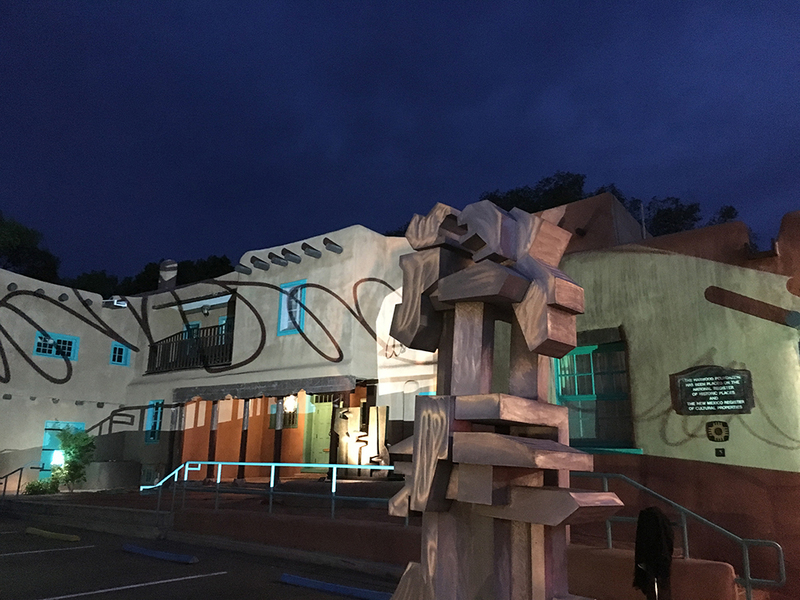 Oliver’s interactive projection will transform audience member signatures into animations to be projected on the exterior of the Harwood Museum. This living graffiti will set the museum aglow, transforming a traditional arts space into an enormous interactive installation. Don’t miss this first-time event. Tickets are free, but space is limited, so arrive early. Doors open at 7:00pm. For more information call 575-758-9826, or check online at www.harwoodmuseum.org. 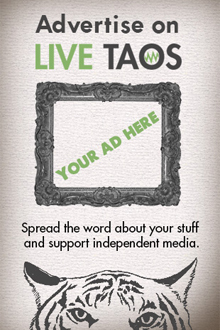 Brandi Jessup is a guest author for Live Taos. Do you have something interesting to say? Submit your article to [email protected] and we'll take it from there.